Wow! Priced to sell... Don't miss this nicely updated DIRECT BAY FRONT 2Bedroom/2Bathroom, over-sized and fully furnished corner unit at Lemon Bay View Villas, a quaint 8-unit complex on Manasota Key, in Englewood, Florida. Park in your own spacious 1-car garage, take the elevator up one story to enter thru the lovely & welcoming foyer. Step into the updated and fully tiled unit with breathtaking views of Lemon Bay & the Inter-coastal Waterway from the kitchen, living & dining rooms and the large (7' X 23') balcony. Enjoy the nicely appointed living area with wet bar, or the roomy & updated kitchen with stainless steel appliances, granite counter-tops and breakfast bar. Bright and airy bedrooms both access a Juliette balcony overlooking the lush gardens and pool beyond. Bonus interior utility room includes a full-size washer/dryer and laundry sink. You must see this condo to appreciate its beauty & sense of seclusion. 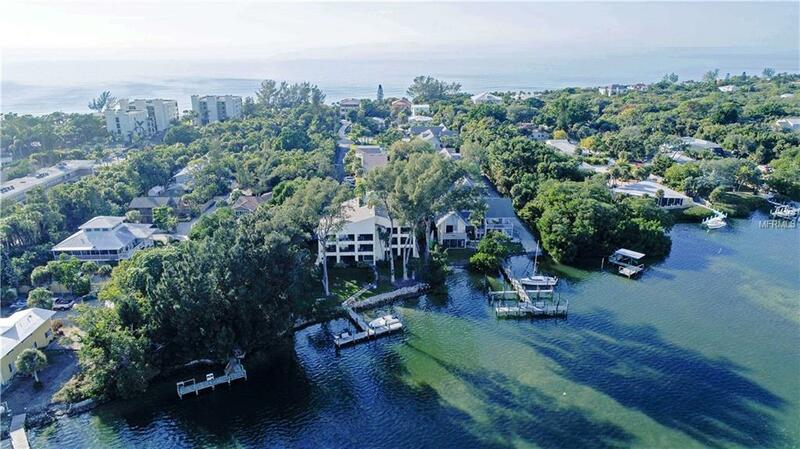 Condominium amenities include a private exterior storage room, community pool with bath house, tennis court, fishing pier/dockage directly on Lemon Bay and deeded access to the Gulf of Mexico.